Shishi is the perfect choice for the heroine, though I do wish she would try more challenging roles. Liu Shishi (Precious Youth) has returned to her historical drama roots after a two year break, during which she filmed republican drama Battle at Dawn 黎明决战 and modern romance drama If We Could Love Like This 如果可以这样爱. This time Shishi will be pairing up with up-and-comer William Chan (The Mystic Nine) for Drunken Exquisiteness 醉玲珑. Drunken Exquisiteness is based on the time travel romance novel of the same name by Shi Siye, and the original premise is basically the same as Bu Bu Jing Xin. 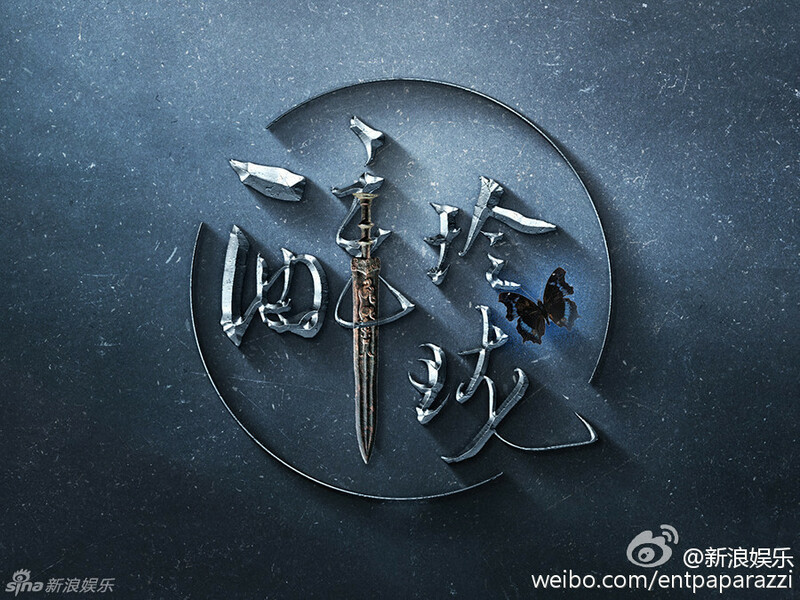 In the drama, female protagonist Feng Qingchen is a sorceress of Mingyi Tower, the secret organisation tasked with protecting the royal family. Yuan Ling (William Chan) is a prince from Western Wei, a ruling kingdom during the Northern and Southern Dynasties. He is described as an “untamed wolf” who appears to be cold and calculating, yet actually cares deeply for his loved ones. Xu Haiqiao (Hot Girl) costars as Yuan Zhan, seventh prince and biggest competitor of Yuan Ling in both power and love. After getting to know each other, Feng Qingchen is impressed by Yuan Ling’s abilities and suppresses her feelings for the sake of seeing him ascend his rightful position. Despite Qingchen’s contributions to the kingdom, the court is vehemently against Yuan Ling marrying a woman who dabbles in black magic. Yuan Zhan launches a coup on the day of the wedding ceremony, and Qingchen uses her powers to reset the universe in an effort to prevent further bloodshed. Qingchen is eventually able to heal the rift between Yuan Ling and Yuan Zhan, allowing them to join hands to overthrow the corrupt officials and return peace to the land. I’m surprised that SAPPRFT is even allowing time slips and parallel universes, though I’ll take what I can get. This entry was posted in Drama, Mainland China and tagged Drunken Exquisiteness, Liu Shishi, Lost Love in Times, William Chan by XDramasX. Bookmark the permalink. This is an interesting pair indeed. I like watching Shi Shi with passionate male characters, like Eddie Peng in Sound of the Desert and Yuen Wen Kang in Imperial Doctress. I think it’s a good contrast to her usual calm demeanor XD Never watched Journey of Flower and don’t plan to anytime soon but will most likely watch this because of the leads! I think majority will be watching for the leads. :p Producer’s credits don’t exactly instil confidence,..